On a trip into Chicago, I left the express and as per usual was stopped at the light before I could turn onto Armitage. Nine times out of ten there is someone standing at the edge of the exit ramp with a cardboard sign asking for money. On this day there is someone waiting for us exit-ers as well. And yes, he had a cardboard sign. But I couldn’t read what it said because he was dancing in the street, literally, doing a soft shoe boogie. Rather than having his hand out, waiting to be given to, he was full out in give mode. This guy is down-and-out, or so we think, standing on the corner, disheveled, with all the external signs of someone we might call out-of-luck. Yet here he is in circumstances some of us would consider unfortunate and he is doing a happy dance. Regardless of his circumstances, he is living in joy. He gave me a gift. He added to my happy and woke me up to even more joy. I felt my heart smile and enjoyed my out loud giggle. By the time he got to my window, I already had money in my hand, glad for the exchange. And even if I had not given him money, I bet he wouldn’t have noticed. He was in his joy regardless of circumstances. 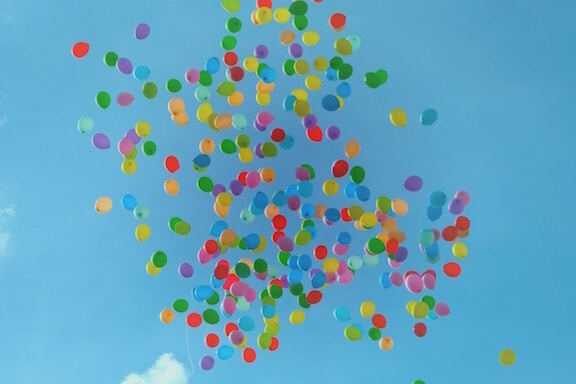 Do you make your circumstances the reason for your happy or unhappy? Or are you someone who goes and joys themselves no matter what? P.S. 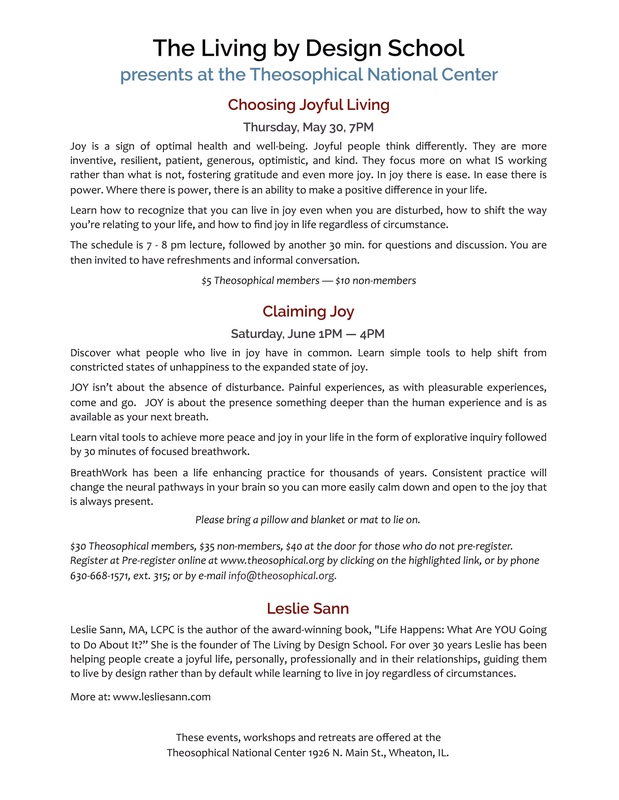 Join me at the Theosophical Society on May 30 and also on June 1 and discover what it is to live in joy.